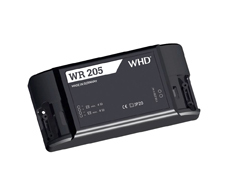 The WR 205 is a powerful wireless audio receiver with stereo amplifier and 230V power supply in a compact housing for installation in cavities like ceilings, walls, furniture, behind mirrors, … etc. In conjunction with WHD loudspeakers makes it perfect for background music, among other things of kitchens, bathrooms etc. 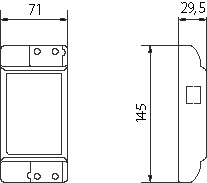 The WR 205 is also available as a set with two exciters X 32 to reproduce music via AirPlay*, DLNA or UPnP.